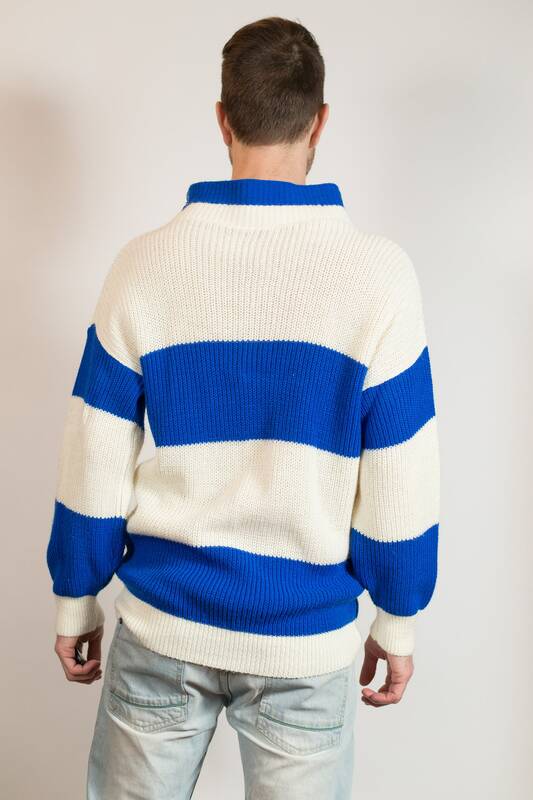 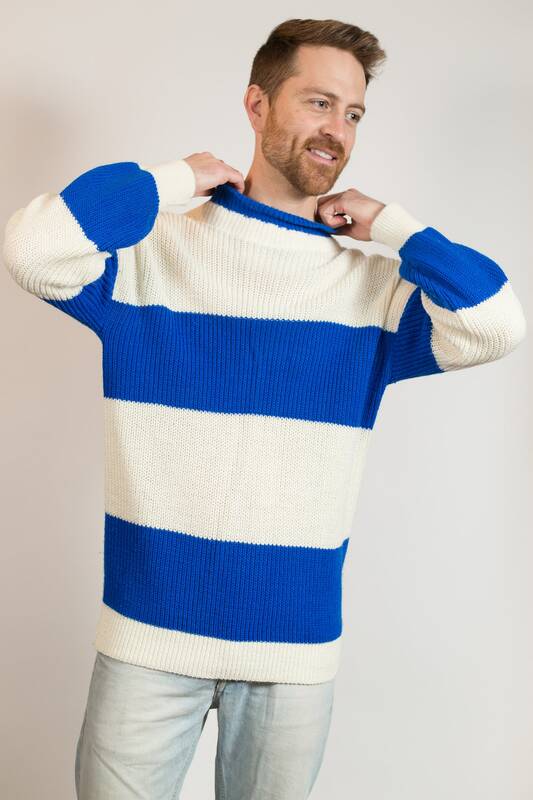 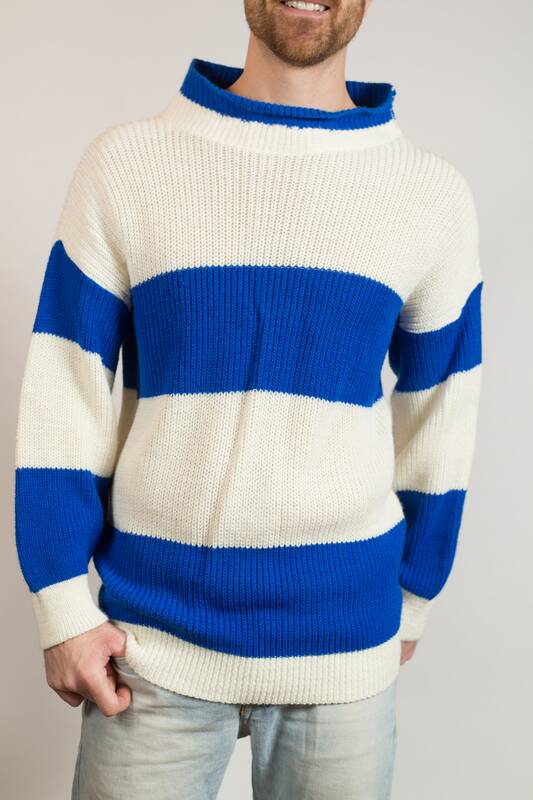 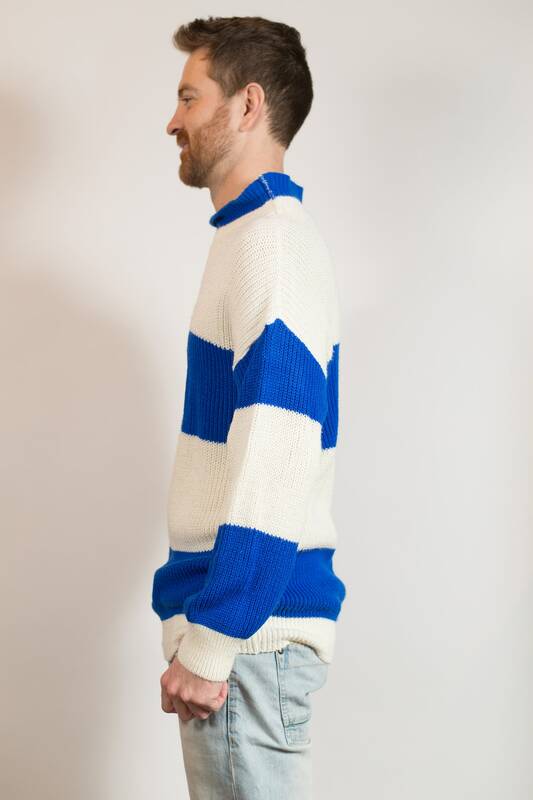 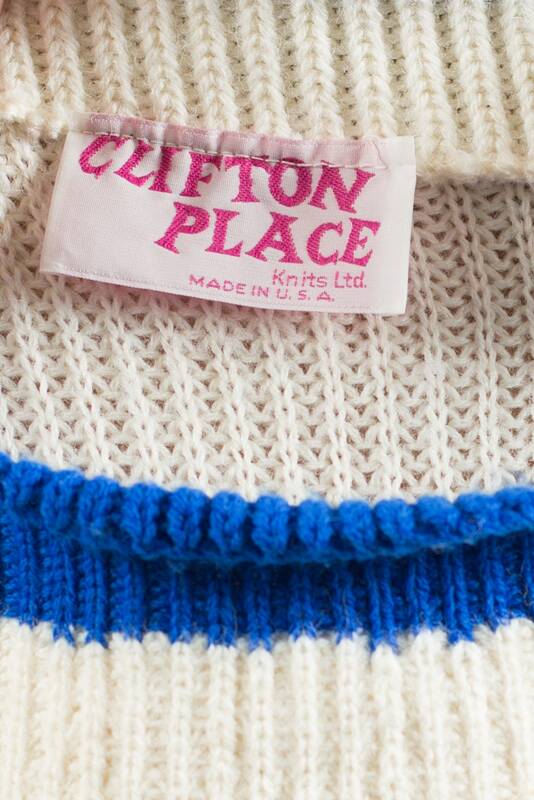 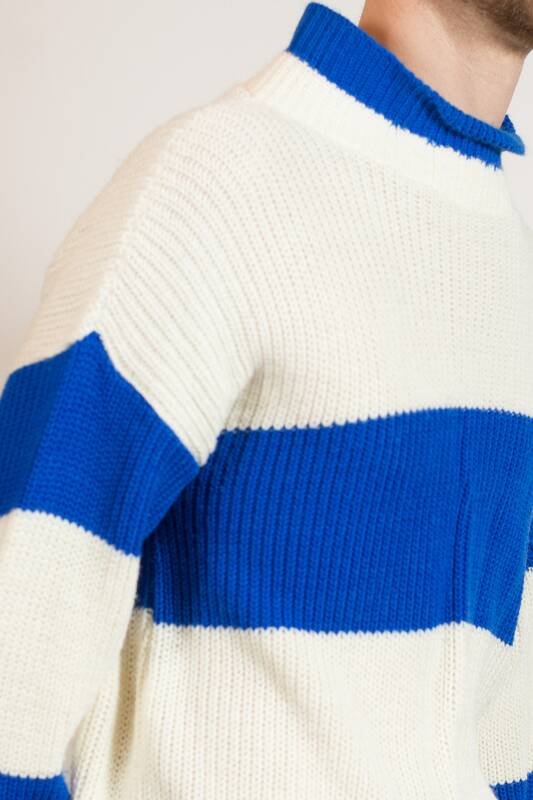 This is a classic vintage wide striped blue and white knit sweater with a wide semi-turtle neck. 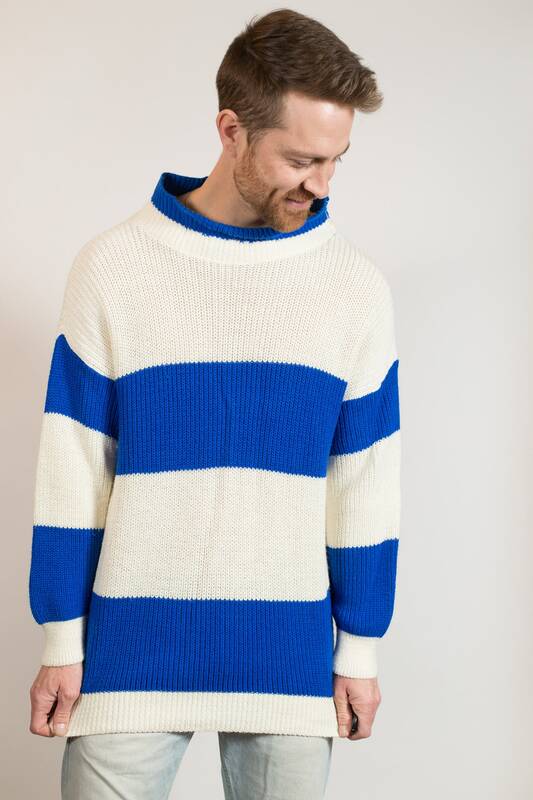 Size: men's medium, women's large. 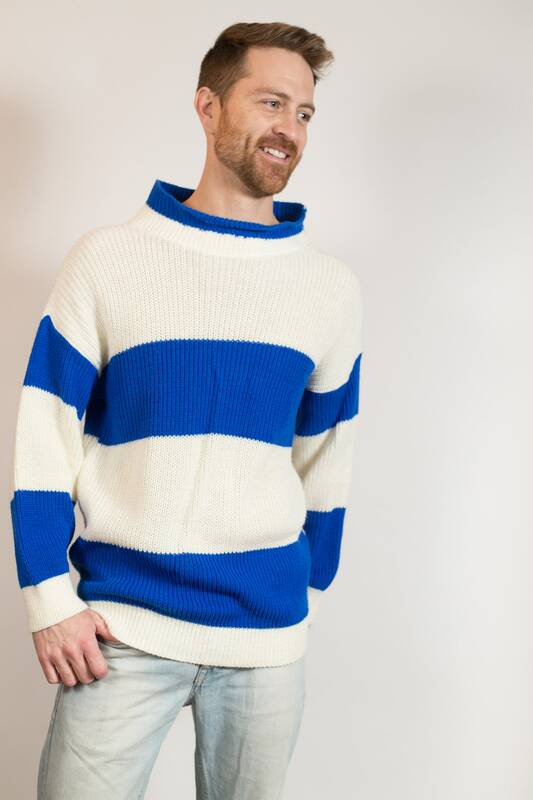 (Model wears medium and is 5'11).